Customer Retention Rate is a key strategic metric for analyzing your current customer shopping behavior. However, to REALLY impact your clients’ long-term goals, you need sufficient data and the correct insights to unleash new marketing initiatives. 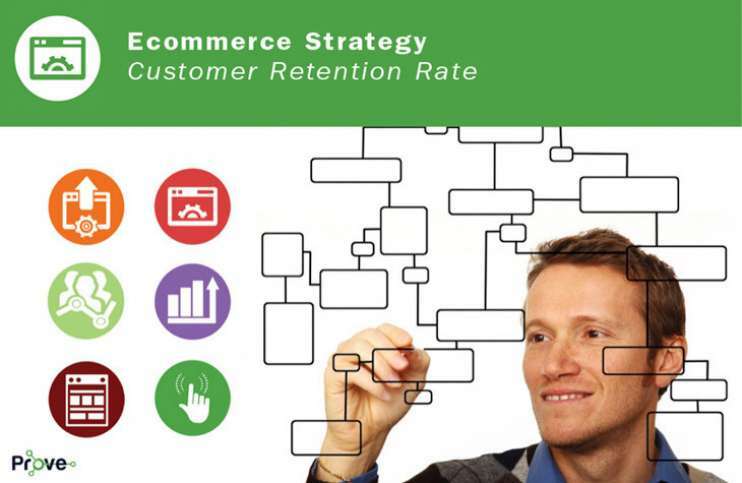 First, you need to measure your ecommerce customer retention rate efficiently. More than 95% of online resources define the calculation of the customer retention rate for an ecommerce company onlyby the purchase frequency metric. But this metric needs to be applied to EACH of your customer segments and product/service categories. Product categories and customer segments do not behave the same for most companies. For example, the customer retention rate for MacBook Pro and iPhone cases will be different on Apple’s site due to the lifecycle of these two product types. The same will be true if you are looking at the purchase behavior for B2B customers vs. B2C customers. Once a metric is determined for each segment across each category, calculate the average of all the metrics BASED on volume purchase weighting. This will serve as the “Overall Website Retention Rate.” This metric is useful for reviewing your customer retention YOY, but not to drive marketing efforts that will leverage it. The Overall Website Retention Rate calculation is where the LTV methodology starts to influence the calculation of the customer retention rate. Back to Apple, if people who buy iPhone cases represent 90% of the total website sales, it is normal that the overall customer retention rate reflects this data. Therefore we apply a 90% weighting to the customer retention rate of the iPhone cases category for the overall website customer retention rate. This approach should be the guideline for an ecommerce company selling multiple product categories that wish to unleash a new customer retention program like a loyalty program or an email retention drip. Other models are currently emerging to produce a broader vision of the customer retention rate. The Harvard Business School recently published a paper that reveals the importance of looking at new data when calculating customer retention rates. They advise a model similar to an LTV Analysis, confirming that how the customer has been acquired in the first place has a tremendous impact on how that customer will purchase again in the future (purchase frequency, future AOV, and revenue), especially regarding from WHICH channel the customer comes and for WHAT margin. The margin, also named “the customer acquisition cost,” is the reference point of what product/service category they bought first and for what price (coupon, offer, shipping price, etc.). Multiple leading ecommerce companies found that the first customer purchase path is the main influencer of LTV and customer retention rate.